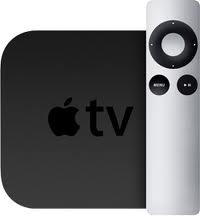 This afternoon Apple released a new software update, 5.0.1, for the second (2010) and third (2012) generation AppleTV. The update is minor and focuses on iTunes previews, AirPlay fixes, Netflix, and overall stability. iTunes previews – Previews for movies and TV shows from the iTunes Store can now be viewed in HD. AirPlay – Fixes an issue that caused some iOS apps to have trouble connecting via AirPlay. Home Sharing – Improves the reliability of Home Sharing connections. Netflix – Addresses an issue affecting Netflix login and navigation. Stability and performance – Includes fixes for issues affecting stability and performance. The update is available now and can be applied through the AppleTV by navigating to Settings > General > and Update Software.